Scientists so far assumed that habitats with intensive agricultural use are generally bad for bees, because of the exposure to pesticides and the very limited choice of food resources and nesting places. The world-wide extinction of bees was to some extent put down to this factor. But bees are well able to thrive in agriculturally used areas, under the condition that they have access to what is called habitat islands with a high plant biodiversity. This was now demonstrated for the first time in a study by scientists of the University of Würzburg, together with other German and Australian researchers. They published their results in in "Scientific Reports". "Tetragonula carbonaria" is the name of an Australian stingless bee that scientists have examined for more than two years. 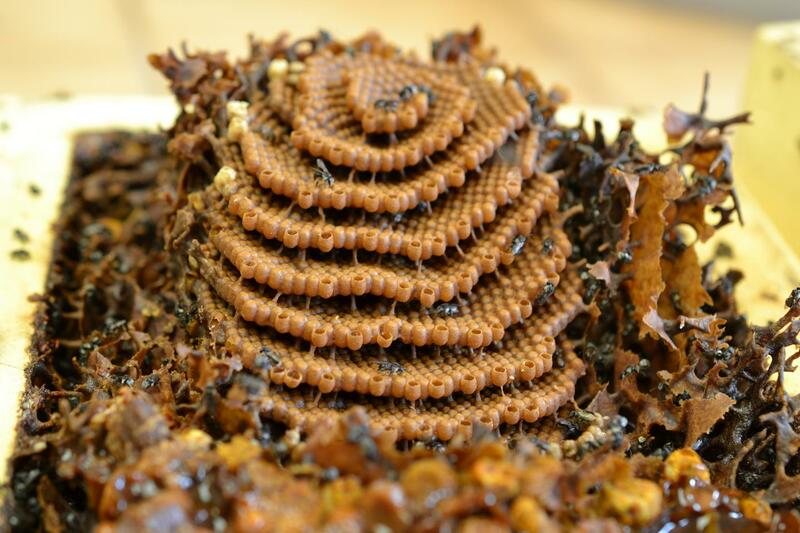 "We used it to examine in an exemplary way whether the fitness and the reproductive success of social bees depends on the plant biodiversity surrounding them and the related quality of food resources," says Dr. Sara Leonhardt, in charge of the study at the University of Würzburg. Social bees include, among others, honey bees and stingless bees. They are responsible for a large part of the pollination performance worldwide. To perform the study, scientists installed bee colonies in three different habitats. "We chose natural forests, urban gardens and macadamia plantations with intensive agricultural use and observed the growth and the production of worker bees, queens and new colonies," says Dr. Benjamin Kaluza, lead author of the study. They also analyzed the nutritional quality of the pollen and honey collected, and charted the plant biodiversity in these habitats. What they found was: The bees' quality of life was highest in gardens and biodiverse forests, and lowest in plantations. As the plant biodiversity declines, bees produce less offspring, so that colonies shrink in size. "Bees need diversity," says Kaluza. "Only in environments rich in plant species do they find continuously sufficient, balanced and high-quality food and other resources." The research project received financial support from the Deutsche Forschungsgemeinschaft. Participants were Professor Helen Wallace from the University of the Sunshine Coast (Australia), Dr. Tim Heard, bee consultant from Brisbane (Australia), Dr. Vanessa Minden from the University of Oldenburg and Professor Alexandra-Maria Klein from the University of Freiburg. Sara Leonhardt and her team now want to carry out further research to examine how exactly bees locate their resources and how they profit from the different resources.